As you should have come to expect with Beating Betting, you will find zero bullsh** in this Oddsmonkey review. We don’t beat around the bush, only providing honest facts in order to help you make an informed opinion on the best matched betting site for you. There are a number of fake review sites out there, spreading incorrect statements in an attempt to get attention and income. You can always trust that we’re real people that have really used all products that we review in depth. So, with that in mind, do you want to hear our honest review of Oddsmonkey? Find out how we review the service, and how we made £1,403.50 (with photo evidence!) on just one low-risk offer in this post. Matched betting isn’t a new concept. In fact, it had been around the fringes of mainstream exposure a few years before Oddsmonkey really started to make a huge impact. Once they entered the move into the space, they certainly caused a lot of commotion in the industry. Originally providing their oddsmatcher software to other matched betting sites, the company decided in April 2016 that they wanted to offer a complete matched betting service. They wanted to try to do it better than anyone else. Their aim was to provide the best value for their customers; offering a range of tools that were unique to the site and including them all for free with subscriptions. Many matched betting sites charge significant extra fees for additional products that assist with matched betting. Oddsmonkey’s total costs are an extremely competitive £17.99 per month or £150 per year. At the time of writing this, the company also have the largest selection of sign-up offers on their site at 59 different bookmakers. This means that new users will have the largest amount of quick and easy profit to make. They also post a huge variety of reload offers for users to move onto after they’ve completed the basic sign-ups stage. All tools and offered are included in each version of their premium membership. Not only do they publish offers, but they post the exact method to guarantee a profit on almost every single one of them – meaning every member makes a profit week in, week out. Many people, including ourselves, make four figure profits comfortably every single month by using their service. In terms of beginner training, you’ll be taken through the entire matched betting process from start to finish. This includes videos and written guides to help you complete your very first offer, right through to completing more complex, high-earning offers. Even the most simple offers can earn you a few hundred quid to complete, so they’re well worth doing. You can actually earn a guaranteed £45 profit during their free trial, with no risk or any obligations to continue. It really threw a spanner in the works when they decided to start their own matched betting service. Oddsmonkey’s oddsmatcher is best odds searcher there is in our opinion – it will find every bet you need to place to complete any type of basic offer. We don’t – we just bet on what the oddsmatcher tells us to! A lot of people get confused with laying off bets, and when you’re new that’s more than understandable. If you’re not confused by the process or already familiar with it, you’ll no doubt agree that inputting the figures into a calculator can be somewhat time-consuming across hundreds or thousands of bets. The exchange integration that Oddsmonkey have introduced makes things not only much easier, but also much more efficient. You can lay bets on Smarkets or Betfair directly and automatically via the matcher. This means that even if you do know how to calculate your lay stakes, well…you don’t really have much reason to anymore. You don’t have to input any figures (well, except for changing your back stake) and you don’t even have to log in to your exchange account – it’s just one simple set up right at the start, and you’ll be good forever. Then, on the pop-up that shows, you click ‘Show calculator’ (if you haven’t done so already). On the calculator, you then input your back stake (the stake you bet at the bookmaker). The odds from the bookie and the exchange will already be present in the calculator, so you don’t need to manually enter them yourself. All you have to do then is click ‘Lay the bet’! It will automatically lay your bet based on the odds and stakes shown in the calculator. If the odds change, you will be alerted and it will ask if you want to still place the bet. This is not only significantly more efficient for regular matched bettors, but it makes it so much easier for beginners, too. Lots of matched betting reload offers (these are offers that you start after you’ve completed the sign-up bonuses) take place on horse races. Because there are so many horse races each day, it can be easy to lose track of which races have offers on them and which don’t. The horse racing matcher was designed to filter out any race that didn’t have an offer on them, and filters out all of the bookmakers that aren’t running promotions on each race too. This means you can find horse racing matches with ease – and this is where the real money is. Sticking with the same sport, Oddsmonkey also have an ‘extra place’ horse racing oddsmatcher. This tool is without a doubt the biggest benefit of a subscription with the company. ‘Extra place’ races are when bookmakers offer you 5 places each way instead of 4. Sometimes, they’ll be more generous and offer you 6, or 7, or maybe even 8 places on events like the Grand National. With matched betting, you can hit a huge payout on these races for minimal risk, if your horse lands in the additional or ‘extra’ place. Thanks to the each way matcher, you can cover the entire field of horses – or close to it – to guarantee that a horse of yours lands in an additional place. Additional places are often worth hundreds of pounds in profit each time one lands, and without this tool it can be extremely difficult to cover more than a couple of horses at most. Each way races aren’t for matched betting newcomers, and come once you are fully comfortable with the matched betting process – probably one or two months after you start up and have built your bankroll to a good level. We now have an each way place odds calculator here on Beating Betting, as well as a guide to extra place offers, to help you with these races. In June 2017, Oddsmonkey introduced the Extra Place Matcher to further improve the ease and efficiency of profiting from extra place races (my biggest earner!). You can tick off every horse that you’ve already backed. If you’ve already covered a horse, you can tick it off so that it no longer shows up in the Extra Place Matcher for that day. This means the previous tool – The Each Way Matcher – is now better for picking up each-way arbs on gubbed accounts for guaranteed profit. Would you like to make a profit on every single accumulator you ever place? It sounds unbelievable – believe me when I say I’ve been told it isn’t possible on more than one occasion! However, with the acca matcher, you have multiple ways to make immediate and long-term profits on your accumulators. Like extra places, acca offers aren’t for newcomers to matched betting – they are something that comes once you are fully comfortable with matched betting, reload offers and extracting maximum value from your free bets. Use their +EV ‘no lay’ accas that actually will earn you money long-term, even though you are essentially ‘gambling’. We weren’t sure about their no-lays at first, but after placing around 500 of them, we are comfortably in profit and can back them up. Locking in a profit from the start is the most common and popular form of accumulator betting on OM – who wouldn’t want to earn a profit from every accumulator they ever place?! Their Acca Matcher is split into two parts; Acca Finder and Acca Builder. Acca Finder is much more beginner-friendly, and will easily find you accumulators for you to place. All accumulators in this section will abide by bookmaker T&Cs, so it really makes the whole thing easy. Acca Builder is the older version of the tool, but still my personal preference. In Acca Builder, there is a greater onus on manually including matches that you want. Whilst this is certainly less efficient, it helps to ensure you’ll have unique accumulators when compared to other people – meaning we’re less likely to be spotted by the bookies! Dutching is similar to backing and laying, but instead of placing your back and lay bet, you instead place multiple back bets at different bookmakers. This can help you to look like more of a mug bettor at various bookies at the same time, and it can actually help you to create arbitrage opportunities too. The dutching software makes it incredibly easy to find two or three bookies with close odds to guarantee a profit or tiny qualifying loss when completing reload offers. Many people ask us for help regarding setting up a matched betting spreadsheet, but with features like the profit tracker, you can track all of your bets much more easily. You can log your unsettled bets, tick them off as complete once they’re done, calculate your profits automatically and – for the analytical folks out there – you can run reports based on your profits in certain timeframes to compare your progress and success. When you first open the Profit Tracker, you’ll have the option to add your previous matched betting profits, so if you want it to track how much you’ve made overall (if you started before using the tracker) then you can simply add it in that way. 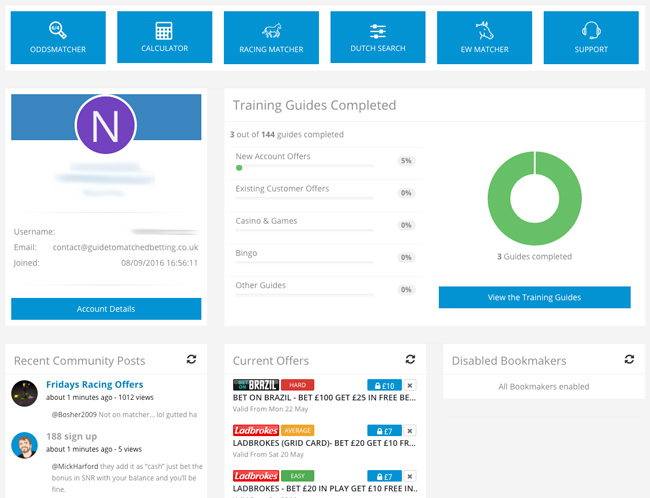 We don’t use the tracker ourselves as we prefer to use our own private sheets through habit, but we can definitely appreciate that it’s a useful tool, although many of the matched betting sites out there also offer this functionality now too. That’s right, you can even exploit casino and bingo offers! 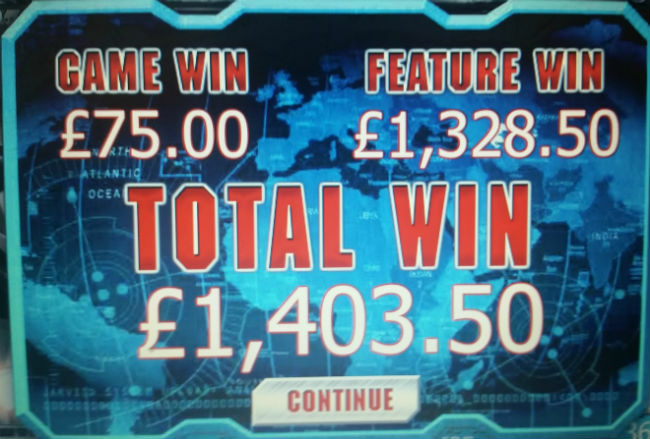 Whilst Oddsmonkey tend to focus on the matched betting offers and give them much more of a push on the site, they do still have casino offers regularly posted. They also offer an EV calculator which helps you to work out if a casino offer is profitable or not. The best part…if we didn’t win, we were due a 100% cash refund on that promotion! We praised the forum on PA for being thriving, but our Oddsmonkey forum review would have to be this: simple, efficient, effective. They have loads of staff, moderators and helpful community members who post daily/weekly offers for everyone to jump on board with. There is lots of social chatter too, although the primary focus for everyone is making money. There is also the daily offer calendar meaning that if you’re in a rush, you can easily filter out the noise. This means if you’re tight for time of an evening or weekend, you can quickly find the offers, place your bets and log out. They also run free-to-enter competitions each month with real cash prizes. We see some review sites claiming that other forums are busier on the sole basis that they have more members. Old Trafford is the largest football stadium in the Premier League…it’s certainly not the noisiest! In the real money making forum discussions – which we class as the daily football and horse racing offers – Oddsmonkey has had the been the most active (in terms of both total comments and unique commenters) compared to the largest competitor in the market on 26 of the 30 days that we checked. It just goes to show that quality of members is more important than quantity of members – OM seem to be incredibly good at attracting the right type of customer; knowledgeable, helpful and engaged. Oddsmonkey give us the best customer service we’ve ever received from a company. Ever. And this isn’t a one-off either, they regularly exceed our customer service expectations whenever we’re in contact with them. Their email staff were so helpful, and when we had some initial fears we had a phone conversation that answered all of our questions. We’ve never looked back since – and their service, along with their amazing value product, is what stands them apart from their competitors. If you ever get stuck for any reason – whether that be with an offer, with your membership or anything else – they are more than willing to lend a hand. All customers are also able to make use of a 1-to-1 phonecall with a matched betting expert from the team in order to overcome any new member nerves. There are absolutely thousands of Oddsmonkey success stories, but we decided to ask members of the site themselves what their own success story was. There were plenty of stories from people that have bought cars, paid for holidays and weddings – and even some that have wasted a lot of money enjoying themselves too! 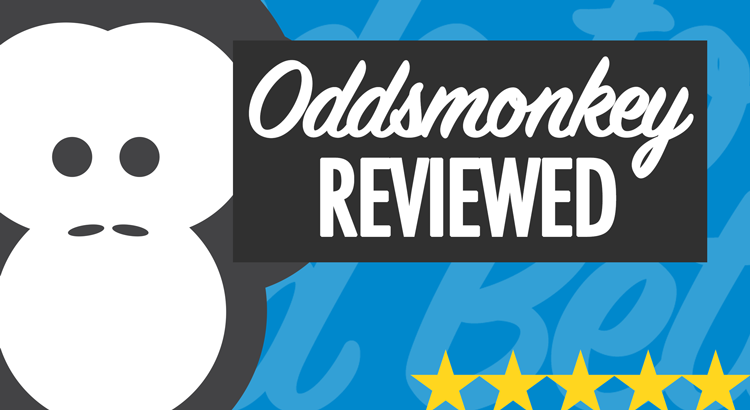 We give Oddsmonkey a full 5 out of 5 stars, our highest rated site for matched betting on the sports side. We absolutely recommend the company for your matched betting, and can comfortably say that we believe they offer the best value premium matched betting membership in the entire industry, with significantly cheaper subscription fees than some of their biggest rivals. Next, we hope they introduce some other new tools (perhaps on the casino side) to continue shaking up the industry! Sign up for their free trial through this link and try them out for yourself. Im interested now, but I need more information about a couple of their services, particularly the horse racing, each way and dutching if you would be so kind. To be frank about it, do these services offer much in the way of guaranteed lock in profits? One of the best things about PA is that they are very good at showing you how to make a lot of money at no risk with a lot of lock in offers. Between the acca catcher lock in method and the daily offers on their £1000 a month thread, I regularly bring in £1500+ every month. The one problem is that most of these offers are low individual ev, £5 fb leading to a £3 profit at best. Thats fine, but when you factor in good mugging strategies, the ev is actually much lower making it a lot of work for no real benefit. That being the case, I’m always interested in other options for making money and PA dont really cater to people interested in horses and dutching methods. Is that the £1,000 a month thread that posts the same offers every day for £2 profit on £250 investment on accounts that will get everyone gubbed (if they’re not already)? And includes price boosts that are live for 10 seconds which almost certainly no one got on? That thread makes me laugh with how embarrassing it is. The site claims you can earn £2,000 profit a month and then has a £1,000 a month thread that struggles to survive! Awful. The additional tools you’re on about with OM will not offer you much if guaranteed lock-ins are what you’re after (well, the dutching one may but you might risk account health doing that). What they will offer you is the chance to hit huge wins for small QLs. For example, on the extra place races you can cover the entire field or close to it far easier than you can without the extra place software – in fact, if you don’t have access to this software then it’s tough to do at all – I never managed it until I had the software and I used to spend all day every single Saturday and Sunday on the horse racing offers. The best thing about these pieces of software is that they allow you to free up serious time. Sure, you can make more money too if that’s your ultimate goal, but I know I prefer making £1,500 – £2,000 profit a month easily without having to invest too much time into it. how much time a day do you spend to make that kind of money a month . I’m in the dark as to how this all works….how is it you could make huge wins using the software? Would you recommend on having both PM and OM then? Would that reason be because PM are top of their game when it comes to casino offers? I’m asking because it doesn’t make sense to sign up to 2 match betting sites otherwise? Exactly that – I use OM for all of my sports betting offers and their tools (mainly the tools!) but PM for the casino offers. You should have no issues withdrawing any money from bookmakers whenever you require. You may sometimes have to provide ID to prove you are who you say you are, but that’s just a quick email usually. I also subscribe to Profit Maximiser and more recently to Oddsmonkey but have yet to use both to full effect – thus far – due to time constraints. What would you recommend focusing on with Oddsmonkey with regard to the tools? I’m thinking of signing up to Mike Cruickshank’s Betting Mastermind product but I’m unsure if it would provide enough of a profit boost over and above what I can make from PM and OM to warrant the cost of BM. For OM, I would be utilising their Eachway Matcher to full effect – particularly on the extra place races. Betting Mastermind would be a solid investment if you can find the time (I know you just said this was an issue). If you can’t find the time then OM’s acca and eachway tools, along with the other products, are more than just a handy alternative. Thanks for the info. I’m looking at the Each Way Matcher just now on OM but I think I’ll need to read it more than once to get to grips with it – it all looks a bit daunting… One thing which I wonder would affect (potential) increased profit from Betting Mastermind is the issue of multiple accounts. I know some PM members use this approach to bump up their income (and it’s a bit iffy legally), however it’s something I’m unable to avail myself of. I’ve been a Profit Maximiser member for 3 years & have had 90% of my bookies gubbed. Does this service contain anything new? You must have made a nice additional income over the last 3 years! You could use Oddsmonkey’s Eachway Matcher tool to turn your gubbed accounts into goldmines. Are Oddsmonkey’s Each Way Matcher and their Acca products more ‘bookie friendly’, relatively speaking, than Mike Cruickshank’s Each Way Sniper and Accumulator Generator? Although the latter two have merit, the experiences of others have shown that implementing them can – in practice – result in quick account restrictions. It doesn’t seem worth losing bookie accounts for smallish short-term returns. I like the no-lay approach for keeping bookmaker accounts healthy, but you have to be able to handle variance with those. Both acca tools have that option. EWS is just a lot more efficient imo – mainly because you can tick off horses that you’ve already covered so they don’t keep showing. I can’t see how either tool would be more/less bookmaker friendly on that one. Does Odds Monkey update odds in realtime, or do you have to refresh the bookmakers odds available? The Oddsmonkey oddsmatcher does not update in real time. This is because every single user can save custom settings to their oddsmatcher within their account. It’s much easier to auto-update a generic oddsmatcher where everyone sees the same thing at the same time, compared to one that is bespoke to every user. Hi Luke. I am currently a subscribing member on PA but am considering switching to OM. Do you consider the oddsmatching software on OM to be better than PA’s? I am getting irritated by the software on PA as it seems to be broken every day, with bookies not showing up and odds being slow to update. I personally prefer the oddsmatcher at OM, yeah, the oddsmatcher is the original Oddsmonkey business after all! Hi, just a question, What size bank would one need to start? As i know that mostly all offers are for residents of UK. Is it worth and would it be profitable to follow this service from other countries? It’s possible to join and follow from other countries, yes, but I can’t comment on how valuable it would be for whatever country you live in. You’d have to join and try – there’s a refund available if you don’t find it useful. Do you have a strategy to avoid bookie account restrictions? Hi, I chance upon this when reading a review on PA. I live outside the UK.Would I be eligible for the offers on OddsMonkey? This is a test to see if comments get listed or they’re fake, like the article. Real comments, real article! That said, some comments will get stuck in our spam filter and some won’t be approved if we believe that they are in fact fake, or trolling, or whatever else, as we are in our rights to do. Wouldn’t it be a fantastic service where you invest say 1000 pounds and let someone else make the bets for you every day. They have all of the accounts and you give them 50% of all they win, you see your money being used and bets going on. I’m amazed someone hasn’t thought of a service like that, or is there such a service..? Affiliate links by any chance hence glowing reports? I have been there for a few years and will be terminating my subs when due, there has been a definite swing towards advantage gambling during that time. All of the offers can be found on the bookies without paying for it once you have signed up to them, the methods are generally the same and can be found on the net. Very little is risk free and it isn’t unusual to see people either lose large sums or develop gambling problems as a result of this shift. Yes you get winners, you also get losers. There have been instances where the lay markets have been the wrong market, that can be very expensive. The calculators are OK, you can find most for free or just download on a trial. My personal view is that they are now too big and subs driven, matched betting is on the decline and they want subs hence posting more risky offers, my biggest losing day this month was £100+ following low risk offers, today – £20, yesterday -£30, day before -£12 day before +£27 recent suggestions from members who wanted change were ignored. Bookie restrictions, there is no way around these, it will happen at some point making half the stuff irrelevant before you even start. The bets are value bets which will flag at the bookies, that is the nature of matched betting, you take value, you will get restricted. By all means have a go, you have been warned however. If you want your £1000 pm then be prepared to gamble, if you gamble then be prepared to lose too, no such thing as a free lunch. Hi Luke are you still making money on odds monkey now even though the bookies are more stringent than before?? Yeah, there are always offers out there. One the most complete reviews I’ve come across in a long time. I’m barred/restricted by most of the bookies I’ve seen in this review but maybe 6-10 that I could try.